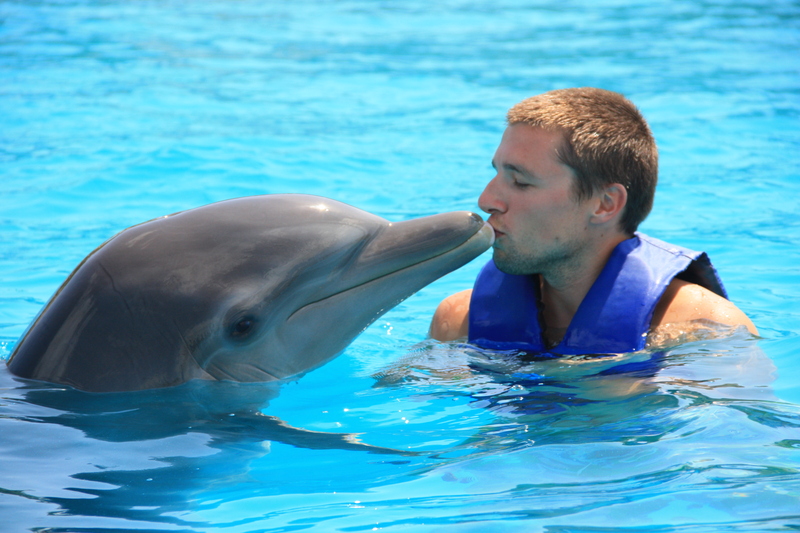 Resort Excursions: Swimming with Dolphins a Tourist Trap? 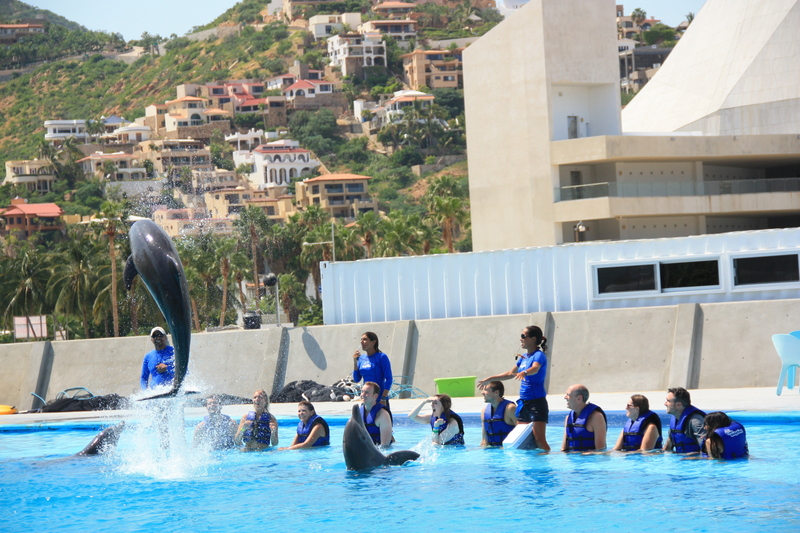 On Saturday, after checking out the infinity pools at the Grand Solmar, Cabo Adventures invited us over to take a dip in the dolphin tank. My thoughts on lobby-purchased excursions are split between my traveler and vacation mindsets. The former thinks that I better do my homework, that they should offer something that I couldn’t pull off on my own for less money and more authenticity (the best example of this is snorkeling). The latter says to hell with it – it’s a lot easier to just get picked up and dropped off out in front of the lobby – bring on the booze cruise. 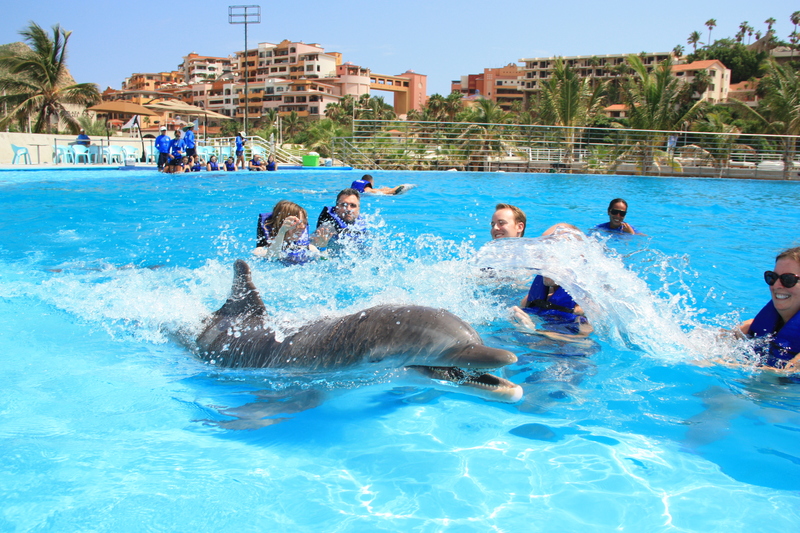 Swimming with dolphins at Cabo Adventures in San Lucas. We’ll save that debate for another time – the fact is swimming with dolphins was an experience that truly made an impact on me. It’s easy to become jaded when you hear about something over and over, or when you’re used to living by the coast and seeing dolphins. But being in the pool with one was the real deal – an interaction that really, in all honesty, isn’t biologically supposed to happen (we’ll also save that debate for another time). I encourage everyone to ask around your specific destination and make sure the company you go through has a good reputation, but in all likelihood I think you’ll find the experience rewarding. There’s a feeling of vulnerability in that the dolphin is infinitely more comfortable in the water than you, especially when you see how fast they move. I developed a real appreciation for the animal, smooth and silky but thick and tough at the same time. 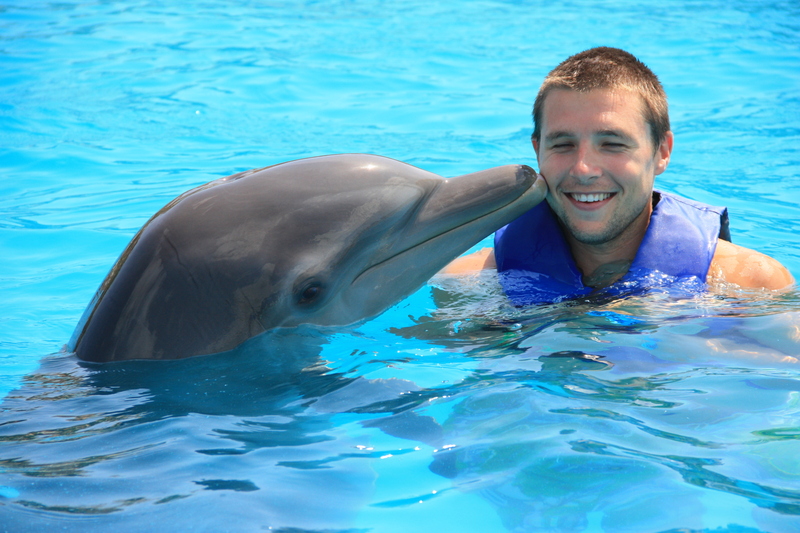 Just as you start to feel a bit intimidated, Flipper plants a fat one on the side of your face and turns his head for you to return the favor. Pucker up for some photos, and be sure to hold on tight when they offer you a ride. I can now officially say I’ve ridden a dolphin. Previous Resort Excursions: Swimming with Dolphins a Tourist Trap?